I wasn’t paying attention but I think this is the last in my Prima Zephyr collection ( until I find the rest of the paper! 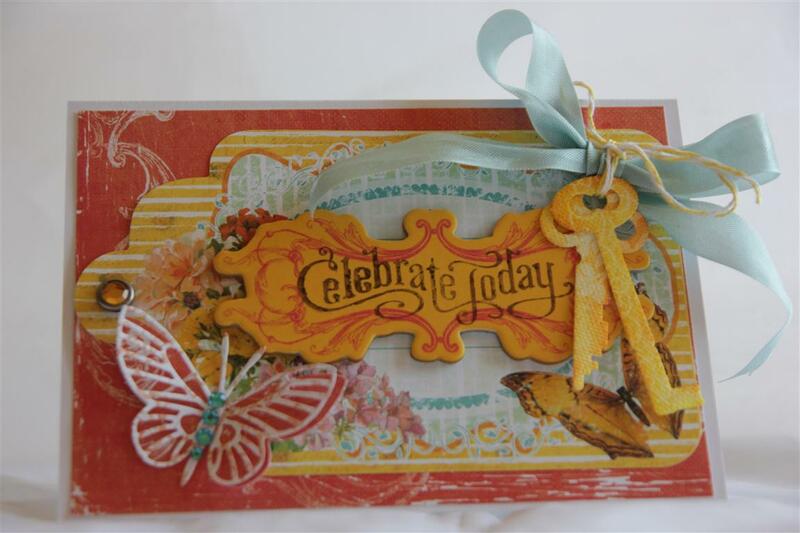 ), and on this card I teamed the paper with the journalling notecards and chipboard pieces.I also used my memory box La Rue flourish die, and stampin up cardstock, ribbon , sentiment stamp and blossom party die. Quick post tonight as it’s grocery shopping night – Til tomorrow…. Hello and welcome to my recent new subscribers. If there is ever anything you want to see more of, or need clearer instructions, or just want to say hi, please feel free to drop me a line!Today we are still on my Prima Zephyr patterned paper collection, also using the matching journalling notecards and chipboard. The rest of this paper still has not turned up in my craft room, but it is in there somewhere, so one day in the future I will stumble upon it and get to finish using it! On this card I also added a flower, ribbon, hat pin and the greeting was a stamp that was free on the front of a magazine – it seemed to fit so well!Today I have been in the craft room making baby boy cards – I had 3 sheets of paper, and so far I am up to card number 7 with them – I am going to run out of paper before I run out of ideas – next weekend I will get Nathan to photo them so I can show you all! Til tomorrow…. Here is the second in my Prima Zephyr patterned paper series – not sure if there will be any more when I have finished showing the ones in this file as I have searched the cratf room ( Twice!) for this paper, and I can’t find it – time for a big spring clean I think!. 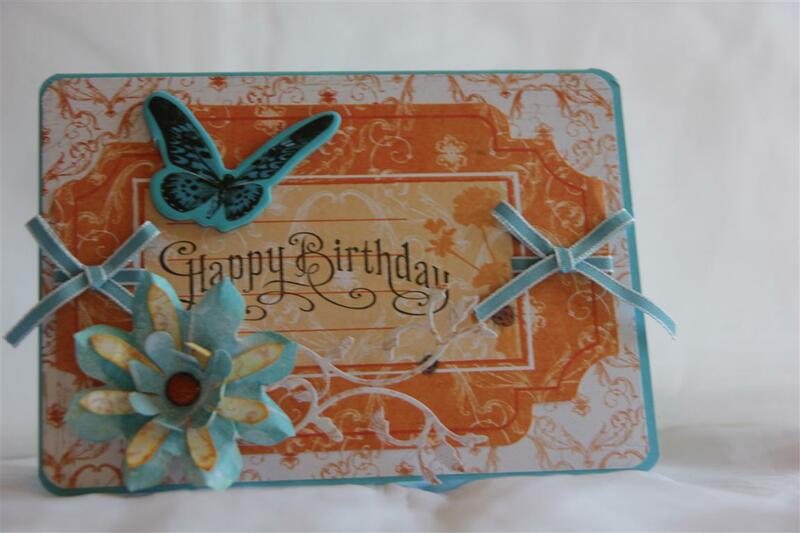 Anyway – also used here are the matching chipboard pieces and the journalling notecards ( fantastic for this sized card) and I added a flower die cut from the same paper using the Stampin Up Party blossoms die, a La Rue Flourish die ( memory box) some Kaisercraft rhinestones, and a butterfly punched with my martha stewart punch. Tonight it’s all about Baby boy cards – I have none left in my boxes, so I will spend a lovely evening in the craft room playing with everything blue! 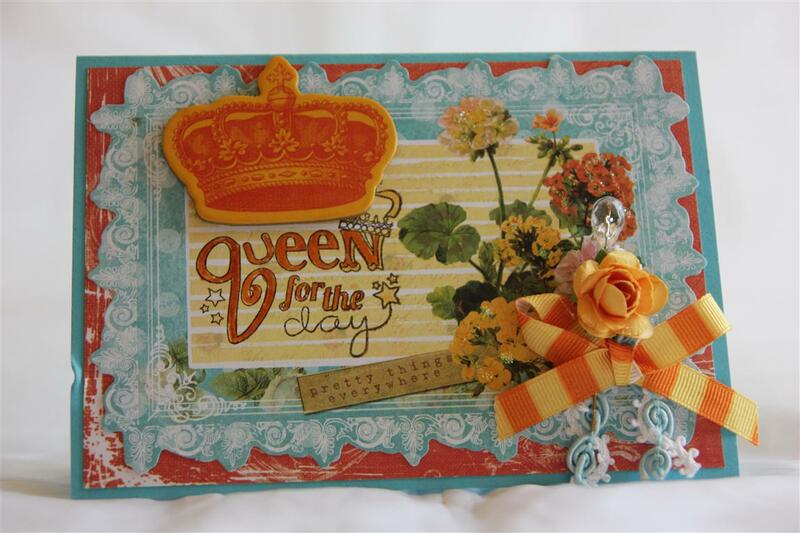 I feel in the mood for something bold and bright this afternoon, and this card fits the bill nicely! 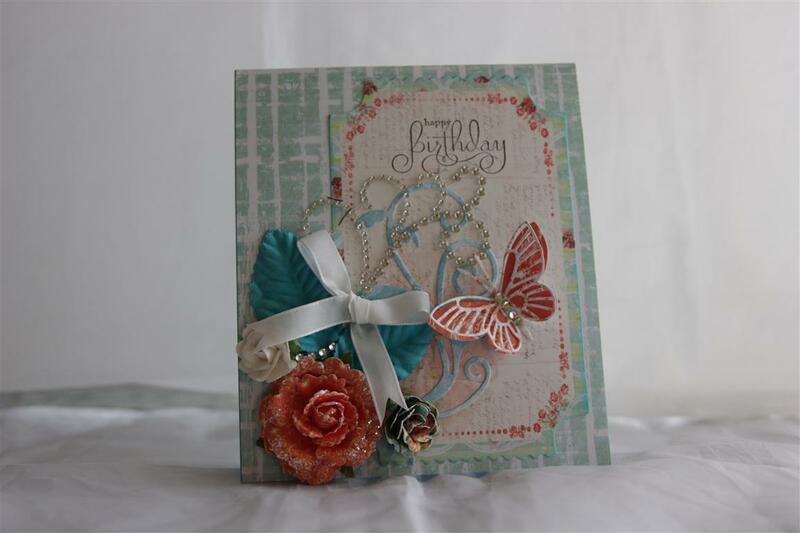 The paper, chipboard and Journalling notecard are all from the Prima Zephyr collection,and the sentiment and Pool Party seam binding are from stampin Up.The butterfly was die cut using Memory Box Moonlight and Kaliedascope butterfly dies, and I used a little bakers twine as well. I kept the canvas keys til last because these are something new I found and I love them. They are Prima resist canvas ( the pack these came from was the clocks, gears and keys pack). 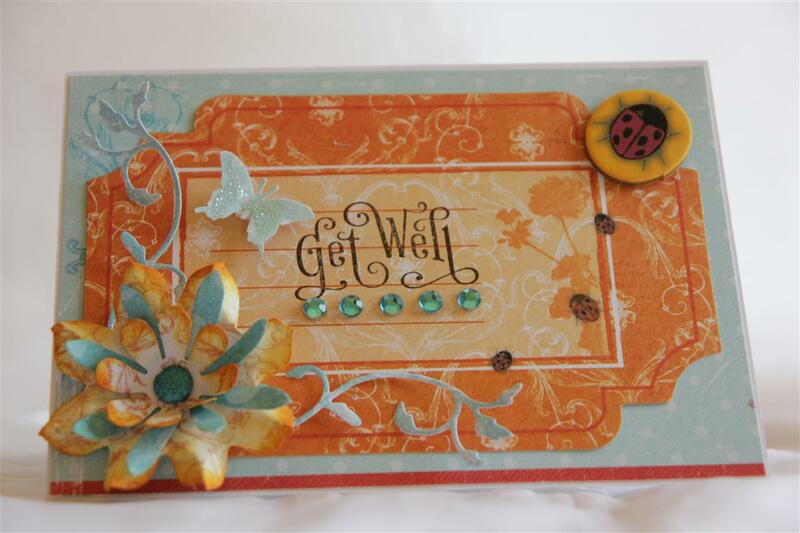 Its a pack chock full of die cut shapes, and when you colour them – I used a tim holtz ranger ink pad and a blending tool, there is a pattern that resists the ink. I bought the pack with the birds in it too, which I haven’t used yet, but may get the opportunity now that my week – end has started – Yay!So looking forward to getting into the craft room and playing wiht all my new paper purchases! Til tomorrow….